—from "Fork with Two Tines Pushed Together"
How to Dance as the Roof Caves In examines America as it faces a recession of collective mood and collective wealth. In a central sequence, the "housing bubble" reaches its bursting point when, with hilarious and biting outcomes, real estate developers hire a married couple and other down-and-out "extras" to stage a fake community to lure prospective investors. 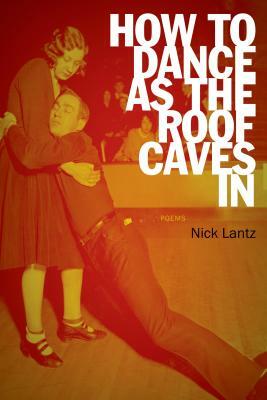 In these marvelous poems, Nick Lantz describes the changing American landscape with great imagination and sharp wit. Nick Lantz is the author of a second collection, The Lightning That Strikes the Neighbors’ House, which won the Felix Pollak Prize in Poetry. He lives in Madison, Wisconsin.